If you’re going to be spending a lot of time camping this year then you want to make sure that you have the right supplies to keep you warm and dry. When it comes to your sleeping bag this becomes even more important, after all, your sleeping bag is going to be the place you go when you’re ready to finish out the day and get some rest. As a result, you need a quality bag and, if you’re going to be camping somewhere cold (or at least cold at night) you need an even better quality bag. For people who like to spend time outdoors there are a few facts that you should know when you’re looking to buy your next cold weather sleeping bag. 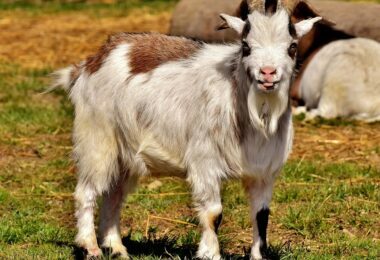 If you’ve never bought one before this is even more important. If you’re going to be camping in the summer you don’t need a cold weather sleeping bag. Chances are (unless you live deep in the mountains or in Antarctica) you will only need something to provide a little shelter. These types of sleeping bags are generally rated +35º or higher (that means they’re rated to keep you warm when the temperature is at least 35º. If you’re going camping in the winter however, you’ll want a bag that can withstand much colder temperatures. You want to make sure that you’ll be protected when the temperature starts dropping at night and that means you want a bag that’s rated for +10º and lower. This means that you will be warm even if the temperature falls below 10◦. Check out our article reviews of the best sleeping bags to guide your choice. The basic rule is to make sure that your bag is rated for at least 10◦ below the lowest temperature you expect to encounter. If you expect temperatures to be at least 45º every night then a bag rated to 35º will be fine. If temperatures may fall below 20º however, you want a bag rated at least 10º. What shape is the best? There are all different shapes of sleeping bags available when you start looking at specialty stores. 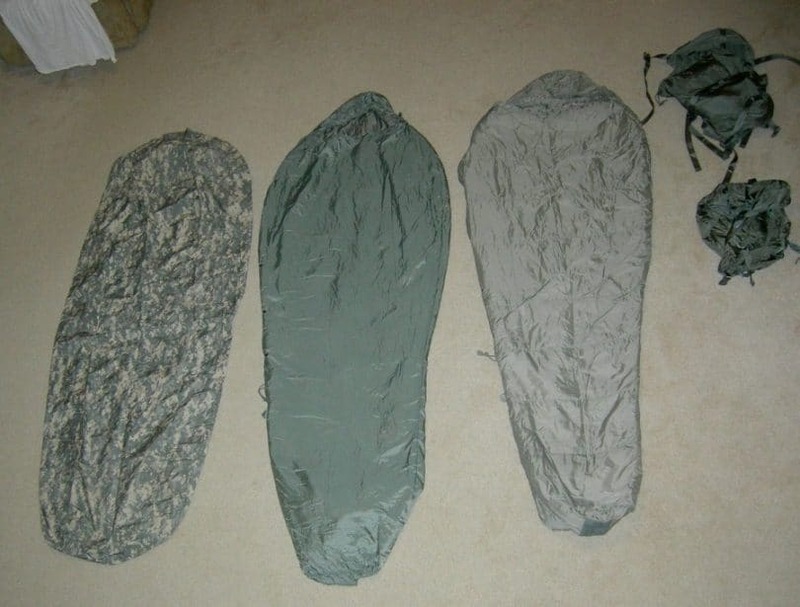 If you’ve only ever gone to a store with a small sporting goods section you may never have seen anything but traditional rectangle sleeping bags, however there are actually a lot more choices that you should consider. 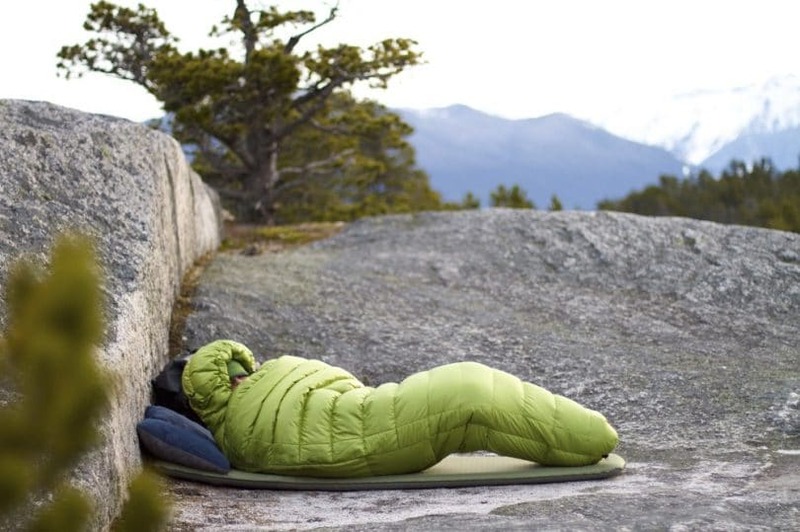 Sleeping bags work by trapping dead air into the bag with you. That air is heated up by your body heat (which you lose while you’re sleeping). Because the heat can’t get out it forms a barrier between you and the cold outside. This is how you stay warm throughout the night. A traditional rectangle bag is good for most situations because it provides you with enough of this dead air to stay warm and comfortable all night. If you’re going to be camping in warmer weather or even reasonably cool weather (but not overly cold) these will generally be good enough (unless you’re camping indoors with a sleeping bag in which case you should be fine with this bag even in colder weather). These are popular because they are also quite roomy and easy to get comfortable in and move around in as well. A semi rectangular sleeping bag is tapered a little more at the ends but it still has a loose style around the trunk of the bag. You’ll still be able to get comfortable and you’ll have plenty of space to move around and not feel restricted which is definitely an important aspect for many people. Because it’s tapered rather than rectangular, this bag actually provides even more warmth than the traditional rectangle sleeping bag. A mummy bag is going to be the best when it comes to warmth but they are definitely not the most comfortable for most people. A mummy bag looks much like what you would expect based on the name. This bag is very tight and tapered to your body, which makes it very uncomfortable for those who like to have space to move around. If you are capable of staying still and being comfortable while you sleep you may like this bag because it’s going to trap in a lot more heat and because that heat is kept closer to your body it’s actually going to keep you warmer. It’s also much lighter to carry if you’re going backpacking or hiking. What insulation does it use? There are a few different types of insulation to consider as well and these are going to make a difference in whether or not the bag you choose keeps you warmer as well. Different types of material have better ability to trap heat and therefore will protect you better from the elements. Some are also better with weather resistance such as rain. Synthetic insulation is of a decent quality and it has a low price. Because they’re inexpensive they’re usually the go-to choice for parents looking at sleeping bags for their children or even more experienced outdoorsy types. These bags will dry quickly and even when they are wet they’ll stay insulated well. They’re also pretty durable (great when you have children) and they are non-allergenic. 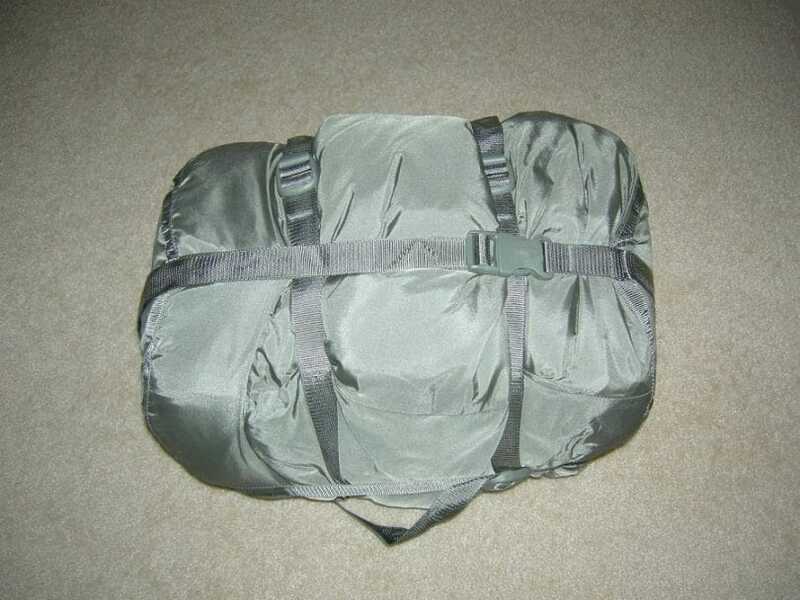 If you’re looking for something you can take with you on long trips however (especially if you’re backpacking) these types of bags won’t pack as small. Goose down insulation is more expensive because it’s made of all natural products. They are also more durable than traditional synthetic insulation because they are made with a product that is intended to protect geese from the cold weather. The down is very good at keeping you warm no matter what the weather may be outside and it also packs quite small so you don’t have to worry about misshaping or taking up a lot of room. If you really want protection from rain however you may want to look at water-resistant down which has been treated to protect you better from the moisture and also to improve insulation. There are different extras that you might find or want in your sleeping bag as well. These may make it easier for you to get the results you want with your bag or they may simply be a little bonus depending on what you really need. Shell and Lining is one of the first things to consider. The shell of your bag should be treated with some type of durable water repellant so you don’t get wet in the middle of the night if it starts raining. No one wants their sleeping bag to leak after all. 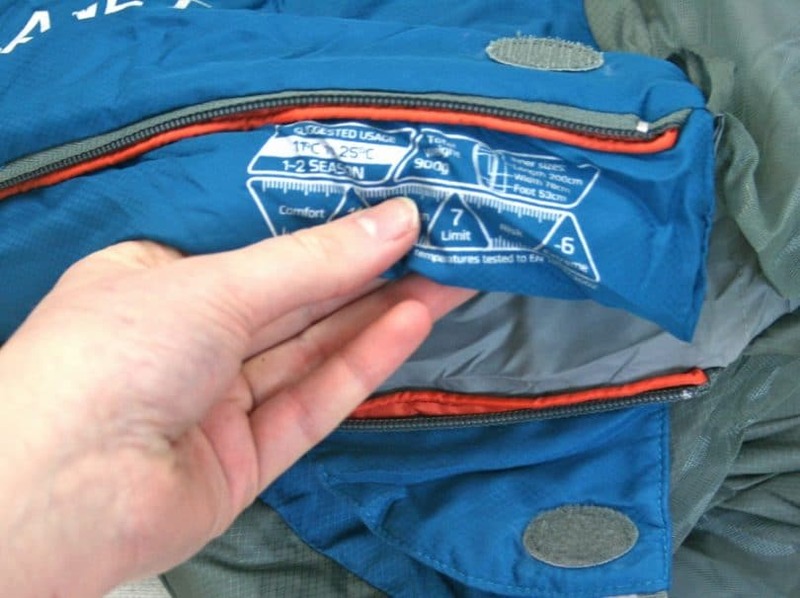 Not all sleeping bags are going to have this type of treatment or list it either way so make sure you test the bag before you use it on a camping trip. You can do this by rubbing a wet cloth over the top. If it’s treated the water should bead up and roll off. If you’re looking to go camping in the cold weather another aspect you might want to consider is your head. You’ve probably heard that you lose most of your heat through your head and that’s why it’s important to protect your head even when you’re sleeping. 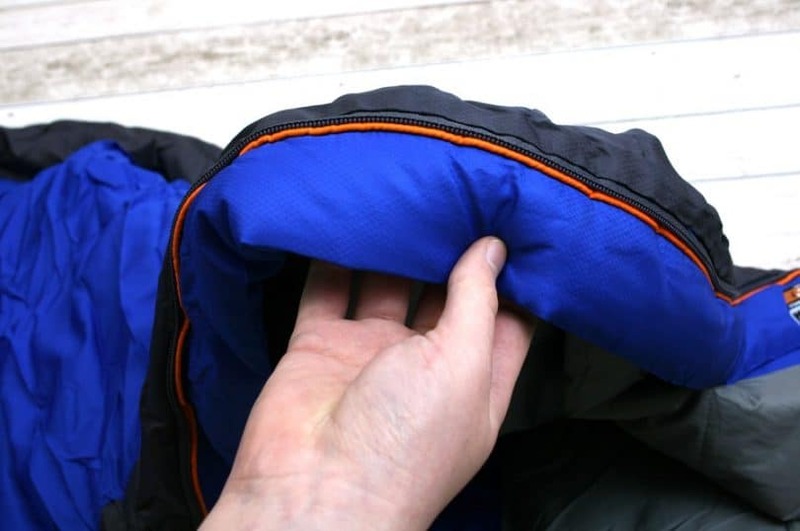 Some sleeping bags may come with a hood which is attached to the top of the bag and protects you in case of very cold weather. The hood gives you a place to lay your head and may even have a drawstring to close the top around your face and keep you even more protected. This is a personal preference though it can be beneficial when it’s very cold (also you don’t have to worry about losing your pillow). Some of the sleeping bags that do have hoods attached also come with a special pouch which you can use as a pillow. These pouches are located in the back of the hood and allow you to stuff anything you want into them so you don’t need a pillow at all. You can stuff this back pocked with anything you want to create a cushion to rest your head on. This may not necessarily be more comfortable than your pillow but it’s probably going to be a lot simpler to keep with you. You may also be able to find a sleeping bag with a special sleeping pad pouch. Many people that spend a lot of time sleeping outdoors don’t really want to sleep on the hard ground so they put their sleeping bag on some type of pad to keep it more comfortable, but how often do you move around in your sleep and end up off the sleeping pad? This pouch allows you to put the sleeping pad into the sleeping bag so you won’t roll off. 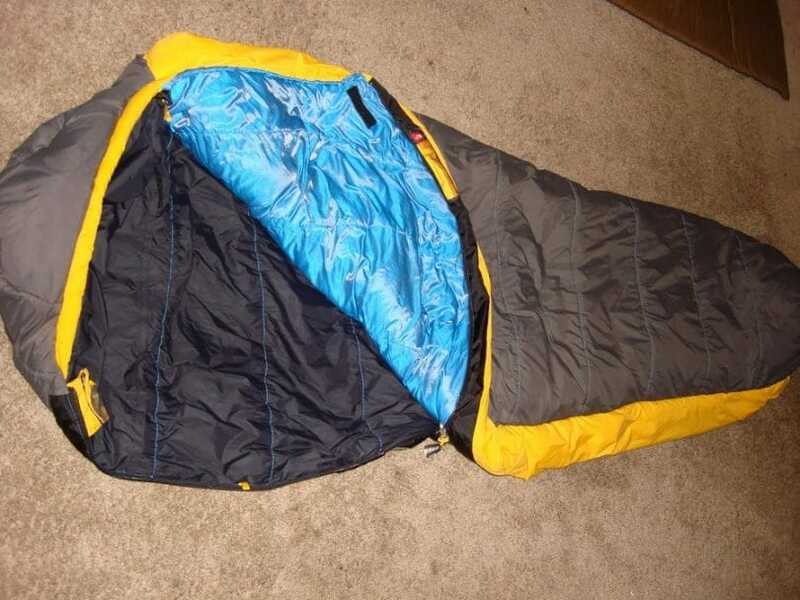 Finally, some sleeping bags will come with a small pocket built into the side. It may be on the inside or outside of the sleeping bag (though the most secure are on the inside). These pockets are able to hold smaller things like an mp3 player or glasses that you may want to keep closer to you throughout the night. This sleeping bag is available in three different colors and also can be purchased with either hand orientation. It’s made of polyester and has 100% brushed cotton flannel on the inside for warmth and comfort as well as having a hood. Rated to -25 degrees, this bag is warm enough for most outdoor trips and weighs a moderate 9.5 pounds. It’s also oversized which means it can fit two people (though somewhat snug) and can be attached to another sleeping bag as well. The company also provides a full lifetime warranty on all of their products which covers any defects in materials or workmanship. As advertised this is a quite large bag. When carrying it takes up a decent amount of space which means you’ll need to allow for that when packing your bags. When unrolled it is also extremely large and will take up more space in your campsite. Because of the high heat rating it is best to use this bag only in colder temperatures. The bag will keep you exceedingly warm when the weather is warm out and you will likely not be comfortable. You’ll want to have a second bag for warm weather trips or camping but if you’re going to be out in very cold weather then this bag will work very well to keep you comfortable no matter what’s happening outdoors (or nearly at least). Some have also had a little bit of difficulty zipping the bag from inside though this is possible to overcome. The positive ratings for this bag are definitely overwhelming. The vast majority of people who have used this bag have absolutely loved it and have found that it’s not only more than comfortable due to the extra-large size of the bag but also that it’s more than warm enough for normal camping trips. For the price, around $90, this bag is believed to a good deal, especially with the levels it can protect you from. The company does note also that the rating for this bag is based on survival and not on comfort. This means that you can survive with this bag down to -25 degrees Fahrenheit however you likely won’t be comfortable in it at that low temperature. To be as warm as you can with this sleeping bag you’ll probably only want to use it about 30 degrees warmer than this (though according to many reviews you’ll probably be plenty warm even lower than that as this bag keeps you very warm in any weather. This bag comes in only one color but it’s also an inexpensive bag if you’re not going to be spending a lot of nights outside when it’s really cold. It’s rated to 10 degrees Fahrenheit which is acceptable for the majority of camping trips that the average person takes (but if you’re looking to go deep in the mountains or during the middle of winter you may want something a little heavier). It’s also large enough for an average person and weighs only 5 pounds. Because of the weight you’ll be able to get carry it easily when you go on longer trips. It also features a quilted collar over the chest to keep drafts out and a hood to cover your head. For the rating that it has this bag is actually somewhat heavy compared to similar bags. As a mummy bag it’s also quite closed in for sleeping and this can be uncomfortable for some people. Another aspect is that this bag is considered military surplus, which means that not all of the bags are new and unused. If you’re looking for colder weather ratings or you want to use it in the weather that is most recommended you’ll likely want to purchase the bivy cover that will help protect you from even more of the cold air outside. Most users are happy with this bag with a large number of positive reviews. The price, at only around $50, is one of the lowest that you will find around, especially for a bag rated this well. You may want to examine the bag for any type of damage before you start using it yourself (remember this is surplus) though you do have the option to buy specifically new merchandise. Make sure you pay attention to this when you purchase. 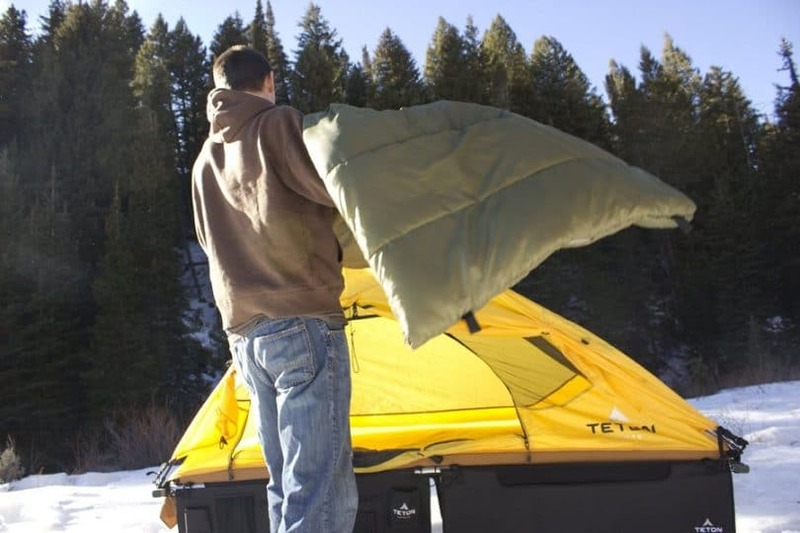 This bag actually comes with five different pieces designed to help you stay more comfortable and warm when you’re camping out. With a moderate weight of 9 pounds, this bag is rated to -30 degrees Fahrenheit and is intended to provide up to four hours of comfortable sleep at a temperature of -40 degrees (if you use properly). It contains two compression stuff sacks, two mummy sleeping bags and a bivy cover. You can layer the different bags together in different configurations to help you stay comfortable in different types of weather and different temperatures. The entire system is somewhat heavy if you were to take all the pieces and this can be a bit of a problem if you’re backpacking or have to carry your supplies in any way. If you’re taking it apart to use only the pieces you need you should be able to carry it more comfortably. You also have to keep in mind that this is a surplus product and that means some may have excess wear on them that others do not. You’ll want to check this before you begin using the product to make sure you have a quality piece that is going to keep your warm. This entire set is also more expensive than others coming in at around $250. When you consider that you’re getting 5 different pieces however it makes more sense to spend the money at one time than on separate pieces. The majority of users are very happy with this entire set. There are very few reviewers who have found fault with the system at all. 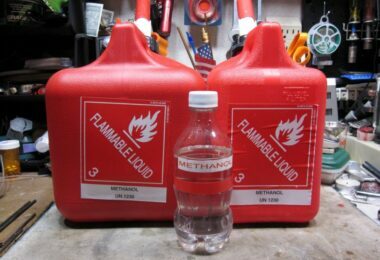 In fact, many have never had to use the heaviest combination of bags in any weather that they have found themselves in because even the lighter rated bags are capable of keeping them protected and plenty warm when camping out. These bags are generally found to be high quality and even the used bags are in very good to excellent condition where you would barely even (if at all) know that they had been used previously. You’ll find that it’s very well made and that it will last for a very long time. Many have not tested it to the limits of the bag itself but they have found that it will work in any of the temperatures that they have tried it in. If you’re looking for a high quality cold weather bag you want to make sure you’re considering all of the features that we mentioned above. You want to make sure that your bag is going to withstand more than the temperature that you’re actually going to be camping in so that you’re going to stay warm no matter what. As we mentioned in one of the reviews, these bags are generally rated to what temperature they will allow your body temperature to stay high enough for survival and not for the temperature at which you will receive the most comfortable night’s sleep. By choosing bags rated much colder than you expect to actually be you’re going to be able to stay warm and comfortable. Keep in mind that cold weather camping can be dangerous. Because you are outdoors in weather that is uncertain at the best of times you’ll want to make sure that you are keeping yourself protected and that means you will likely want to use some type of cover or shelter along with your sleeping bag. This doesn’t need to be a full camper or trailer but it’s definitely recommended that you use some type of tarp or canopy over you to help protect from the wind. Make sure you’re taking all the precautions possible to help keep you safe and warm during cold weather camping trips. This is when you’re in the most danger from hypothermia so make sure that you pay attention to your body’s needs when you’re sleeping through the night. 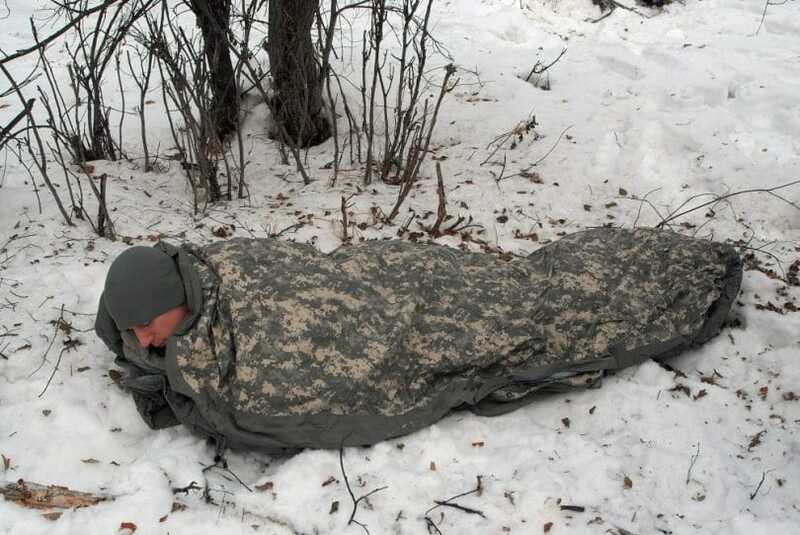 If you’re too cold you want to make sure that you are seeking some type of warmer shelter. Cold weather camping can be a lot of fun and when you tie it in with hiking or backpacking it can be even better. Just make sure that you’re taking care of yourself while you’re doing it. 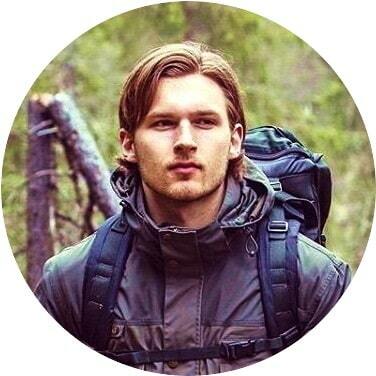 Going on your next adventure? Don’t forget to read our review of the top compression sacks to guide you.